Discussion in '2019' started by Mahalo, Jul 16, 2015. Preem was supposed to be in here before she replaced Matt in Donut's lakorn. Mai Warit is rumored to be in here. News lakorn??.. .. how's the storyline..?? I hope Matt is in here at least it's a new lakornumber with a new guy. Mai Warit is promoted to primetime? I wonder what the storyline is like. Anything with Buang in the title always involves some past life karma/sin. IFirst i need to know whtat the storylne is, then i can say who i want in here or if i'll skip it. But I like Mai Warit, so for now I'll stay tuned. I hope so.. And a new guy.. But don't mind if the guy is jamesma..
always involves some past life karma/sin. Mai Warit isn't new. He played p'ek in evening lakorns before. He also played alongside Bella and Ken in Look Tard. Why is Pee Kai having so much projects. He has Jao baan Jao Ruen and Raeng Tawan. Neither one are close to being done. Now this one, hopefully he doesn't film all of these lakorns at the same time because it would make all of his lakorn turn out bad, most producers usually stick to just filming one lakorn at a time. It does involve past and present life. I read a bit of the summary. Apparently, n'ek is a famous actress Kwan Uma while the p'ek works on set or is her co-star Teerat. 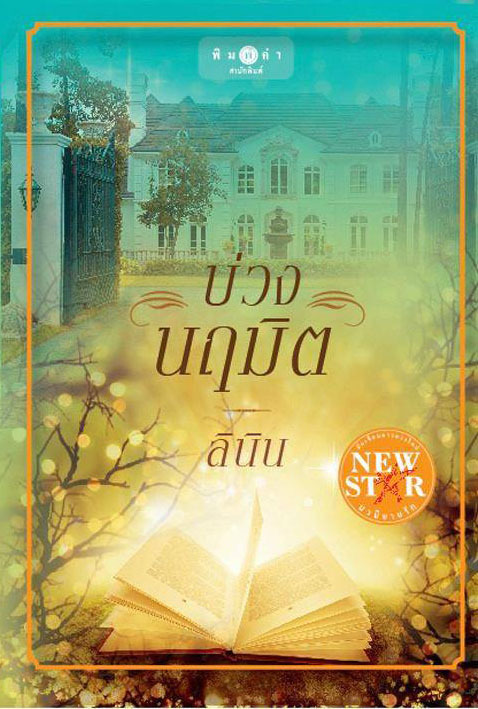 The lakorn they're filming is based on a fictional story written by someone who had already passed away called Roy Adeed. However, some how, the plot seems familiar to n'ek and p'ek. They can relate to the characters and they develop a connection with the story. Even the setting seems familar. Nonetheless, there is one thing that they feel is wrong and that's how the story is written. Something doesn't seem to add up. The plot seems twisted and the wrong people are being blamed. Whether the story is true or false, n'ek and p'ek will search for the truth to bring justice to the right people. It's similar to Stefan and Aum P.'s lakorn Raeng Rit Pit Sawart or Koom Nang Kruan. Well not exactly the same plots as those but similar in that they both are superstars starring in a lakorn that's based on true events and were those characters in past lives. Lol. Then that's definitely my type of lakorn. Horror Mystery. I'm fine with Mai Warit already, so the actress i want in here is someone who has been supporting for so long but deserves to be n'ek like Eye kamolned. Then I want Wawaa or Yam Tisha. I don't think it's horror. Lol. They didn't mention any ghosts but it does have to do with investigating past lives and what truthfully happened. I like 2 centuries story. wish it's Mai&Matt will be a interesting new pairs. cuz kinda tire of Matt pairing up with the same actors. wanna see her pair up with young good looking p'eks. glad Mai get promoted to prime time p'ek, he really deserve it. But even if it's not horror, I still like mystery. LOL. But I really hope it is though because it adds to the pot. I'm starting to take a liking to Mai so I'm looking forward to who the nangek is.